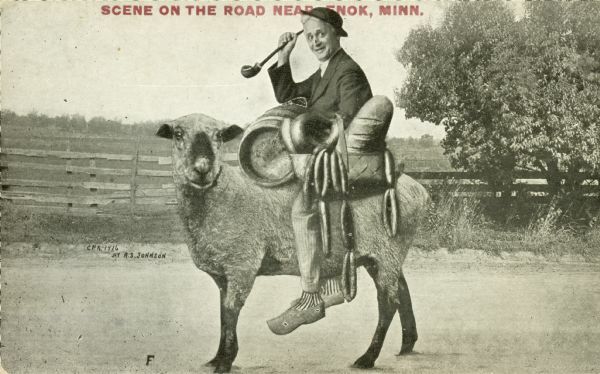 An older man is riding a sheep on a dirt road. He has a small barrel, some sausage links, and a loaf of bread. The object in his right hand appears to be a crop. A fence protects a pasture in the background. The image was pieced together from a number of sources; a close look betrays that the man's legs are fake. Red text in the upper portion bears the inscription "Scene on the Road near Enok, Minn."